Dr Bernadine Brady is a Lecturer at the School of Political Science & Sociology, NUI, Galway and a Senior Researcher with the UNESCO Child and Family Research Centre. Bernadine is a mixed methods researcher with a focus on social ecology and young peoples wellbeing, exploring how community, school, family and service provision influence outcomes for young people. She has published 25 peer reviewed research papers in international journals, including Children & Youth Services Review, Children & Society, Journal of Mixed Methods Research and Child & Family Social Work as well as a range of reports and book chapters. Bernadine has particular expertise in relation to youth mentoring, participation and evidence based practice in youth work. She is co-founder of the Global Youth Mentoring Network and co-author of A Guide to Youth Mentoring: Providing effective social support (Jessica Kingsley, 2012) and of Mentoring Young People in Care and Leaving Care: Theory, Policy and Practice (Routledge, forthcoming, 2019). 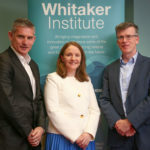 Bernadine is currently Principal Investigator on an Irish Research Council funded study Empathy, caring and connection among early adolescents. Bernadine lectures on the BA in Political Science & Sociology, the MA in Family Support Studies, the Masters in Social Work and other programmes. She holds a Bachelor of Social Science Degree from UCD, an MA in Community Development from NUI, Galway and a PhD from NUI Galway. She also holds a PG Cert in Academic Practice from NUI Galway. Prior to joining NUI, Galway, Bernadines work experience included research, evaluation, community development work and strategic planning in a range of local development settings. Empathy, Caring and Connection among Early Adolescents: An Empirical Analysis. This Irish Research Council funded study aims to generate empirical evidence regarding the values and experiences of Irish youth towards a range of issues which reflect a sense of social and political responsibility towards others. I am jointly leading a work package on Children's Participation as part of the Development and Mainstreaming for Prevention, Partnership and Family Support study. Our research focuses on the degree to which children have a say in decision making across Tusla services. I am contributing to a study entitled: Engaging Urban Youth: Community Citizenship and Democracy, a Marie Curie Individual Fellowship study, led by Prof Caroline McGregor and Prof. Rob Chaskin. With colleagues Danielle Kennan and Cormac Forkan, I am working on an EU funded project called P4P (Participation for Protection), led by Queens University, Belfast which aims to support integrated and multi-disciplinary child-centred approaches to child victims of violence. I am currently undertaking a qualitative study into the perceived value of mentoring for young people in care. (2012) A Guide to Youth Mentoring: Providing Effective Social Support. (2019) Empathy, Social Values and Civic Behaviour among Early Adolescents in Ireland: Composite Report. (2019) Empathy, Social Values and Civic Behaviour among Early Adolescents in Ireland: Policy and Curriculum Review and Key Informant Perspectives. (2019) Empathy, Social Values and Civic Behaviour among Early Adolescents in Ireland: Scientific Report. (2018) Speak Up: Participation of Children and Young People in Decisions About their Lives in Tusla Services. (2018) Collective Participation of Children in Care: A formative evaluation of the Tusla / EPIC foster care action groups. (2018) Tusla's Programme for Prevention, Partnership and Family Support: Children's Participation Work Package Final Report: Key Findings. (2018) Tusla's Programme for Prevention, Partnership and Family Support: Children's Participation Work Package Final Report. (2018) Engaging Urban Youth: Community, Citizenship and Democracy. Research Report. (2018) Supporting youth civic engagement: Supranational and National Policy Frameworks in Comparative Perspective. (2018) Exploring the Impact of Mentoring Relationships in Adolescent Empathy: A Mixed Methods Approach. (2018) Big Brothers Big Sisters and Garda Youth Diversion Projects: Perspectives on Youth Mentoring as a Preventative Intervention. (2017) Children and Young Peoples Participation in Decision-Making withinin Tusla: A Baseline Assessment Prior to the Implementation of the Programme for Prevention, Partnership and Family Support. (2016) Exploring the Effectiveness of Structures and Procedures Intended to Support Childrens Participation in Child Welfare, Child Protection and Alternative Care Services: A Systematic Literature Review. (2016) Evidence based programmes in youth justice settings: An Evaluation of CHART and A Life of Choices. (2015) An operational profile and exploration of the perceived benefits of the youth cafe model in Ireland. (2012) Big Brother Big Sister Mobilising Peer Support in Schools: An Evaluation of the BBBS school mentoring programme. (2014) Here you feel more comfortable to talk: An evaluation of Foróiges REAL U: Relationships Explored and Life Uncovered programme. (2012) Understanding Youth Civic Engagement:Debates, discourses and lessons from practice. (2012) Foroige Citizenship Programme: Evaluation Report. (2012) How are we doing? An Evaluation Resource for Foróige Staff. (2011) Big Brothers Big Sisters of Ireland: Evaluation Study. Report One: Randomised Control Trial and Implementation Report. (2011) Big Brothers Big Sisters of Ireland: Evaluation Study, Report Two: Qualitative Evidence, CFRC, NUI Galway. (2011) Big Brothers Big Sisters (BBBS) of Ireland: Evaluation Study. Report 3: Summary Report. (2010) If I can make their life a little easier, then I'm happy: Study of Young Carers in the Irish Population,. Office of the Minister for Children and Youth Affairs. Dublin: The Stationary Office. (2010) Youth Cafés in Ireland: A Best Practice Guide,. Office of the Minister for Children and Youth Affairs. Dublin: The Stationary Office. (2010) Barnardos Family Welfare Conference Project, South Tipperary: Evaluation Report. Galway: Child and Family Research Centre. (2008) A Formative Evaluation of the Community Based Family Support Programme. (2006) Facilitating Family Decision-Making: A Study of the Family Welfare Conference Service in the HSE Western Area. (2005) Big Brothers Big Sisters, Youth Mentoring Programme, Evaluation Report. (2004) Working for Children and Families: Exploring Good Practice. (2004) Understanding and Developing Childrens Participation: A Short Guide. (2004) Computer Characters Barnardos Participatory IT Project for Children: Evaluation Report. (2002) Strategies to Promote the Inclusion of Refugees and Asylum Seekers. Dublin: Area Development Management. (2014) Do Mentoring Pairs Meet Less Frequently as Their Match Progresses?. (2018) How can Learning Technologies Support Teaching of Social Research Methods?. (2018) The experiences and approaches of mentors in the Big Brothers Big Sisters programme: Lessons for research, policy and practice. (2013) Improving the Lives of Children and Young People: Public Consultation Report.